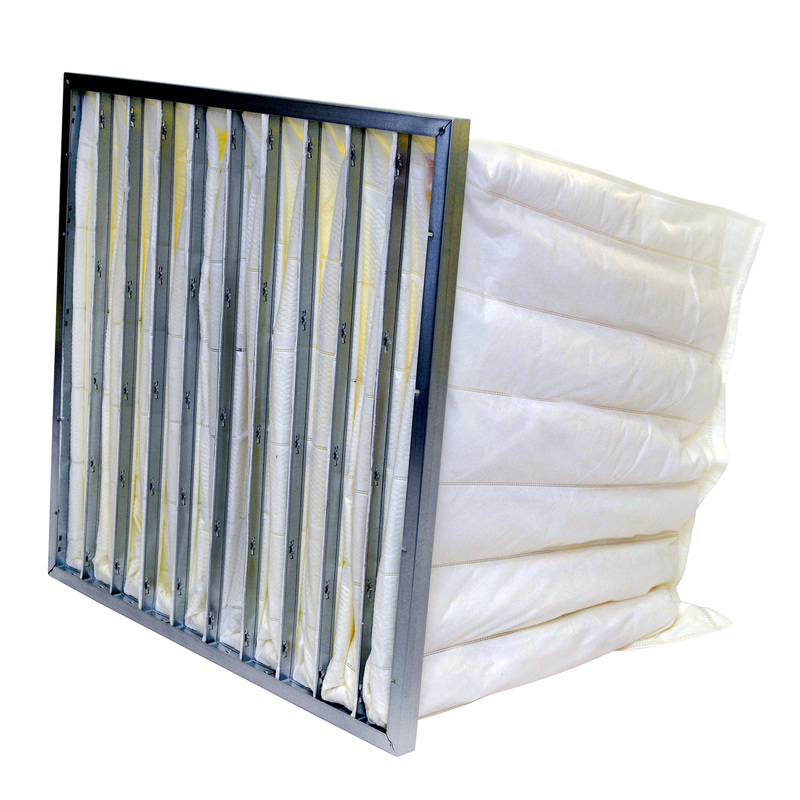 Our multi-pocket bag filters are made with Irema Ireland’s Ultraseal Plus welded cut pockets air filter media that meet the new ISO 16890, EN 779:2002 & 2012 industrial standard for filtration efficiency ePM1-10/ F5-F9. The Ultraseal filter media contains pockets which are ultrasonically welded, cut to size and supported by a corrosion resistant metal or plastic frame. The Ultraseal Plus multi-pocket bag filter achieves high dust holding capacity, low pressure drop while providing a low energy cost. The multi-pocket bag filters are made using Irema’s unique Ultraseal Welded Cut Pockets polypropylene Media. The ultra-fine and course micro fibres are designed for optimal particulate capture. They come in a variety of sizes and filtration efficiencies from ePM1-10/ F5-F9.